A.B. Shepherd: Cover Reveal for sci-fi/suspense novel Lifeboat! You are going to have to "...read more" to actually see it. Aren't I a tease? 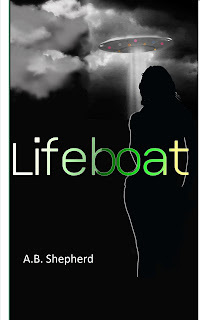 Lifeboat is my debut novel. If you are a faithful reader you will know that this book has been in process since November. It is a sci-fi/suspense novel (blurb to be revealed soon in another post) and I've been working really hard behind the scenes to do all the hard work that goes into to writing and self-publishing a book. I've gone through several rewrites, more rewrites, and a professional edit. But there are so many more things that have to be done when you are self-publishing. Some of them are still in process and I have a planned release date for Lifeboat of May 2013 when I will be holding a Release Party right here! One of the most fun parts has been cover design. I hired a professional graphic designer to prep a cover for me based on a few ideas I had. This is what she came up with and I loved it. I really did. I love the font for the title. I thought it was dark and mysterious and I loved that the figure was in silhouette so you wouldn't have a preconceived idea of what Cass, my leading character, looked like. 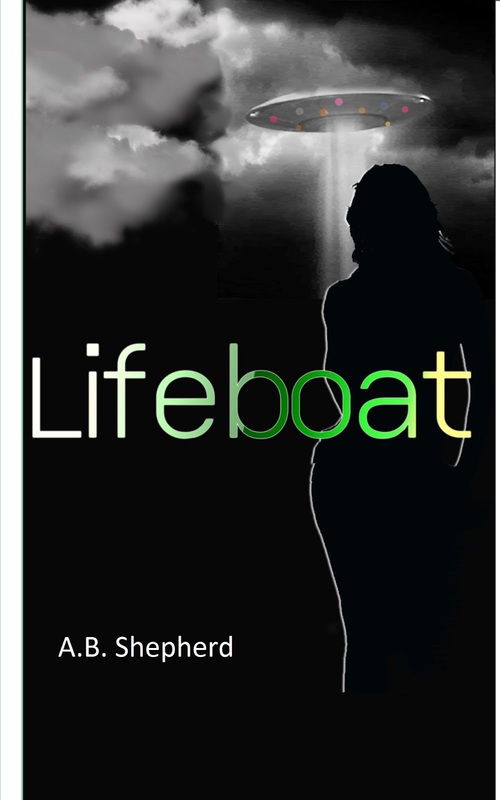 I even ordered a bit of swag using this cover - which I will be giving away during my Lifeboat Release Party in May. But then my editor, who is SO much more than just an editor - having read my book prior to editing it, had some ideas of her own. She decided one afternoon to play with her ideas and she mocked up a new cover just for fun. And I loved it too. Then I had to make a really tough decision. Which cover did I use? I shared both covers with some very helpful author and blogger friends, as well as friends and family whose opinions I really respect. I got votes for each. The most compelling opinion, however, came from my beautiful 27 year old daughter who happens to be a reader and she voted overwhelmingly for the cover below. Her reasons were "The brighter colors are more alluring and the face makes you interested in the girl. Like I look at it and I want to know what happened to her. The other one is nice but it is not making me want to read it and know more. It's dark and her back is to us, which is uninviting." So I bow to her superior judgement and tada! 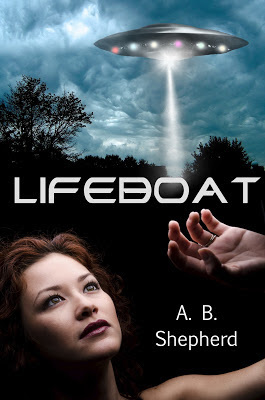 Here is the official cover for my novel Lifeboat! I couldn't be happier with it. Did we make the right choice? Please do tell me. Neat cover. However, I also like the simplicity of the first one. Thanks JC! I'm really excited.